Do you like quick, easy projects? Me too! 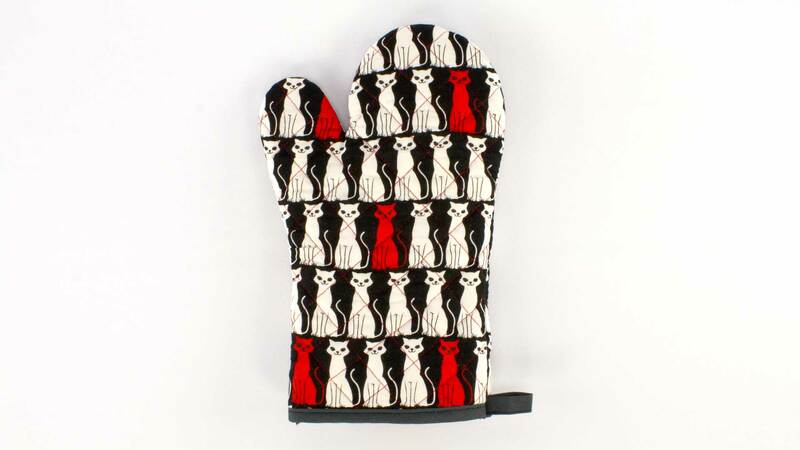 Making oven mitts are great and they make awesome gifts, especially paired with a cute apron. You'll definitely want to make a few for yourself as well. If you've done our pot holder tutorial, you'll find some parts of the process to be similar. I do consider the oven mitt to be a little more advance than the pot holder, but I think that's because you're sometimes dealing with a lot of layers. In this situation, I do find it helpful to have a walking foot. If you haven't purchased a walking foot attachment for your machine, let me strongly recommend one. It comes in handy for me all the time and you'll wonder how you did without one for so long! I really love making oven mitts though, mostly because I love working with cute cotton prints and, with this project, I can use all the cute cotton prints I've stashed in my fabric collection. It's just fun and makes me smile. There's a free pattern download for this project. Just make sure you're logged in to be able to download it. You'll find the download box above, just below the video player. I made a great Oven Mitt using this pattern, thanks. I do think the mobility of the thumb could be made greater by moving the thumb down on the pattern and having the angel between the hand and the thumb greater. I don’t think I can grab a cast iron pan out of the oven with this. Due to the lack of flexibility. I will tweak the pattern and re-post. Watched the video twice, second time writing down the instructions more than watching the screen. 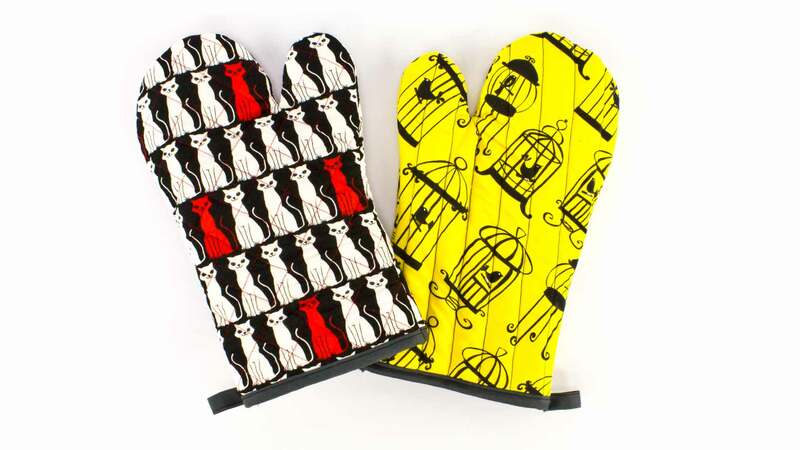 Now can’t wait to make oven mitts…………for myself, of course, but will be great gifts too! Thanks for this! The instructions are only available in the video. I was able to download the pattern pieces. Are there written instructions? the video is nice, but I appreciate having written instructions available also. Try printing in black and white only in your printer settings. My printer will only print out the first page of pattern. I have not had any problems with other patterns on here, just this one.